Besides regular travel, the most effective and popular way to rack up the miles is by strategically leveraging credit card spending rewards and signup bonuses. Credit card points and miles are the key to travel "hacking." Below, see my personal recommendations. These are the best publically available signup bonuses, and the most rewarding cards for your everyday spend. I don't have credit card affiliate links, so I don't earn commissions. All of the links below are direct to the credit card issuer. If you'd like to support this site, please consider simply clicking (or even bookmarking) this link anytime you shop on Amazon. As an Amazon Affiliate, I'll earn a small commission from your purchase, and it won't cost you a thing. Points can be transferred to various travel partners, used to purchase travel through chase at 1.5¢/point, or exchanged for cash at 1¢/point. The City Miler's take: Right now, this card is king. With an effective $150 annual fee (after the $300 travel credit), the benefits of this card are worth it for many, especially if you tend to travel a couple of times a year. Points can be transferred to various travel partners, used to purchase travel through chase at 1.25¢/point, or exchanged for cash at 1¢/point. The City Miler's take: For anyone balking at the large upfront cost with the Sapphire Reserve, this card is a fantastic alternative. 2x points on all travel and dining add up quickly. The City Miler's take: A solid all-around card, you can get decent value for the effective $95 annual fee. However, unless you purchase a lot of airfare directly from airlines or spend a lot at grocery stores, the benefits of this card can be redundant compared to the Chase Sapphire Preferred. The City Miler's take: If you fly Delta with friends, family or a partner at least once or twice a year, this card is a must-have. As long as you use the companion pass for a ticket that would cost more than $195, you're getting a great value (and most leisure travelers can do this). Add the other perks, and this is a card which will have a place in my wallet for years. The signup bonus often rises once or twice a year, so it may be worth waiting for a higher offer. 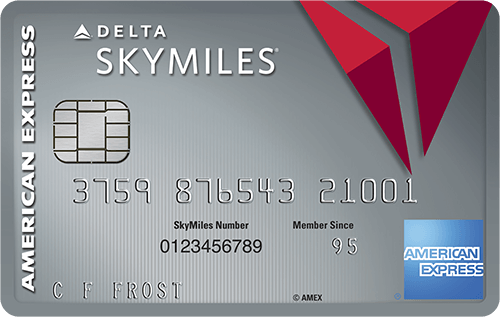 The City Miler's take: If you fly Delta and can use the perks, but either don't travel with a companion often (for instance, if most of your travel is for work), or don't like the idea of the $195 annual fee, this is a good alternative to the Delta Platinum card. As with that card, the signup bonus often rises once or twice a year, so it may be worth waiting for a higher offer. The City Miler's take: A good all-around card for people who fly American Airlines. Unless you make a lot of redemptions or fly often, it may not be worth holding onto for more than a year. 5,000 bonus miles if you add an authorized user in the first three months. The City Miler's take: The two annual United Club passes are a nice perk, though it's annoying that you have to use the card on your tickets to enjoy the checked-bag benefit (with Delta and AA, you simply need to have a card account open). One BIG unpublished perk: holding this card gives you access to extra saver award space on United, which makes redeeming your miles easier. Complementary membership to Boingo on up to four devices — access to wifi in airports and millions of global wifi hotspots. The City Miler's take: Fantastic card, as Starpoints are worth a lot. The airline transfer bonus is tremendously lucrative. I get a lot of use out of the Boingo membership, too. As Starwood and Marriott continue executing their merger, we're not sure what will happen with this card; it might be worth grabbing it before it's gone.